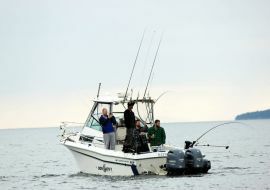 Vancouver is fortunate to have year round salmon fishing on its doorstep. 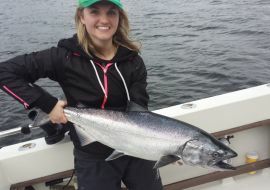 Our Vancouver fishing packages are perfect for those that want to stay & fish in Vancouver. 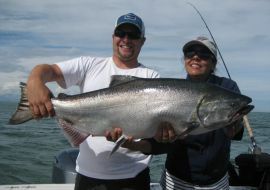 Our packages include first class accommodation at the Granville Island Hotel and fully guided salmon fishing. The hotel is only a 5 minute walk to our salmon fishing boats! www.granvilleislandhotel.com/ Salmon fishing in Vancouver does not get more convenient and comfortable than these fishing packages.